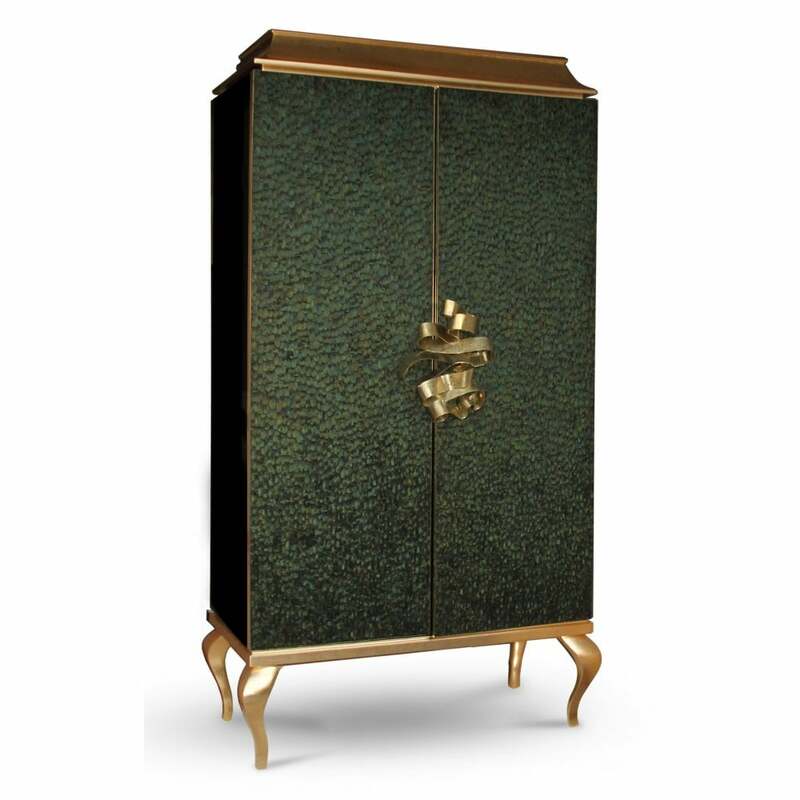 This utterly desirable double door pagoda top armoire is covered in delicate iridescent peacock feathers each individually placed. An exquisite metal ribbon opens the doors to a lavish interior graced with four antique mirror drawers & two adjustable glass shelves. Body finished in high gloss black lacquer with base and top covered in gold leaf.. Doors: KOKET feather collection.